We study permutation betting markets, introduced by Chen et al. (Proceedings of the ACM Conference on Electronic Commerce, 2007). For these markets, we consider subset bettings in which each trader can bet on a subset of candidates ending up in a subset of positions. 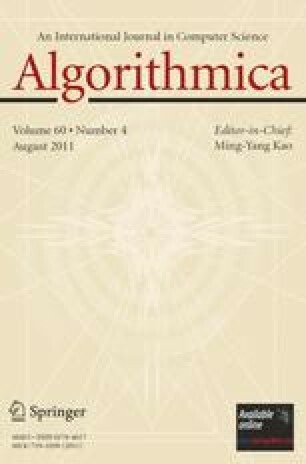 We consider the revenue maximization problem for the auctioneer in two main frameworks: the risk-free revenue maximization (studied in Chen et al., Proceedings of the ACM Conference on Electronic Commerce, 2007), and the probabilistic revenue maximization. We also explore the use of some certain knowledge or extra information about the possible outcomes of the market. We first show that finding the optimal revenue in the risk-free model for the subset betting problem is inapproximable. This resolves an open question posed by Chen et al. (Proceedings of the ACM Conference on Electronic Commerce, 2007). In order to identify solvable variants of the problem, we propose the singleton betting language which allows traders to bet an arbitrary value on one candidate for one position. For singleton bettings, we first provide a linear-time implementable necessary and sufficient condition for existence of a solution with positive revenue for any possible outcome. Furthermore, we develop an LP-based polynomial-time algorithm to find the optimum solution of this problem. In addition, we show how to extend this LP-based method to handle some extra information about the possible outcomes. Finally, we consider the revenue maximization problem in a probabilistic setting. For this variant, we observe that the problem of maximizing the expected revenue is polynomial-time solvable, but we show that maximizing the probability of achieving a pre-specified revenue is #P-Complete.